Christopher Marlowe (1564-1593) was an English playwright, Shakespeare's immediate predecessor as leading English dramatist and a considerable influence on his work. Marlowe, with Thomas Kyd, virtually invented Elizabethan Tragedy, and Marlowe's influence on Elizabethan Drama in general was great. In his Tamburlaine (1587) he successfully established Blank Verse as the standard medium for drama, and the grandeur of his protagonists and themes elevated his successors' aspirations. The son of a shoemaker, Marlowe nevertheless received a good education, graduating from Cambridge University in 1587, in the same year that his first play, Tamburlaine, became the talk of London. He followed it with 'Tamburlaine, Part 2 (1588), The Jew of Malta (1589), Dr Faustus (1592), Edward II (1592)—the first English historical play—and The Massacre at Paris (1593). Most of his plays were probably commissioned by the Admiral's Men and his heroic protagonists first played by Edward Alleyn. At his death Marlowe left another play unfinished—Dido, Queen of Carthage, completed by Thomas NASHE and staged in 1594—along with 'Hero and Leander'. 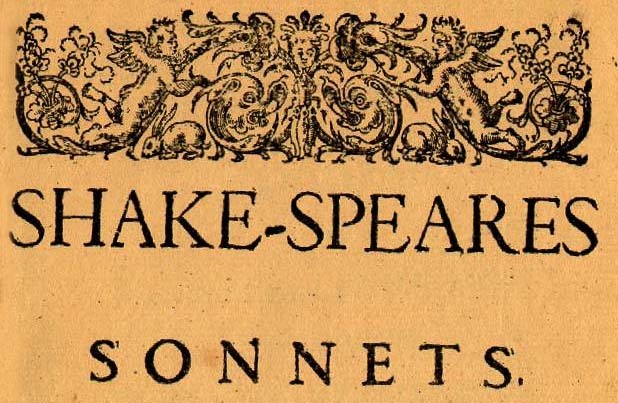 His oeuvre was completed by two other short poems (one of them, the delightful 'Passionate Shepherd to his Love', which was falsely attributed to Shakespeare in The Passionate Pilgrim). While the body of work is small, it encompasses at least three great plays—Tamburlaine, The Jew of Malta, and Dr Faustus—and a magnificent lyric poem, 'Hero and Leander'. 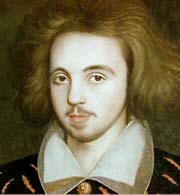 Marlowe, who was born the same year as Shakespeare, was only 29 when he was killed.